Old Speck Mountain in the Mahoosuc Range. Photo courtesy of Matt Libby. There’s nothing quite like the feeling of accomplishment you gain when you reach the top of a high mountain peak – not to mention the spectacular views! On your next visit to Maine, set aside time to explore the state’s 10 highest mountains. Even if you don’t quite make it to the top, you can still enjoy the scenery from below! The highest peak in Maine, Mount Katahdin reaches 5,267 feet into the sky. Set in Baxter State Park – a 209,501-acre wilderness area in the Maine Highlands region — the mountain was named Katahdin, or “The Greatest Mountain,” by the native Penobscot Indians. This steep peak was formed by an underground intrusion of magma and has been shaped by alpine glaciers. Katahdin is 25 miles from the town of Millinocket. It’s a popular hiking destination and serves as the northern terminus of the Appalachian Trail, and the southern end of the International Appalachian Trail. Well-known summit hikes include Knife Edge, a narrow, extremely technical trail that leads to Baxter Peak. As the top of the mountain is above the tree line, hikers will discover a jagged, rocky peak devoid of forest. Expect this very strenuous hike to take at least 10 hours, with an elevation gain of 4,167 feet. At 4,240 feet, Sugarloaf is Maine’s second tallest peak. In Maine’s Lakes and Mountains region, the mountain is home to the Sugarloaf Resort, a year-round vacation destination that offers skiing and snowboarding in winter and hiking, mountain biking and golfing during the warmer months. The mountain is in the Carabassett Valley and has a vertical rise of 2,820 feet. The Appalachian Trail passes within a mile of Sugarloaf’s summit on the west side of the mountain. Set in Maine’s Lakes and Mountains region, Old Speck is the state’s third highest peak at 4,180 feet. Part of Grafton Notch State Park near the town of Newry, the steep trails that lead to Old Speck’s summit reward hikers with stunning views of the forested slopes of the surrounding Mahoosuc Range. The Standard Route trail to the peak is part of the Appalachian Trail system. This challenging trail climbs through forest and is about 4 miles long. At 4,228 feet, Crocker Mountain is Maine’s fourth highest peak. 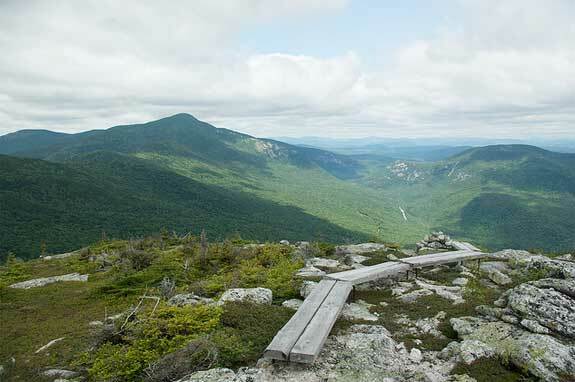 Set in the Carrabasset Valley in Maine’s Lakes and Mountains region, the only trail to the summit of this mountain is part of the Appalachian Trail system. The trail climbs 2,800 feet over 5.2 miles to its wooded summit. It presents a moderate to difficult challenge and should take a few hours. Crocker Mountain is near Sugarloaf and the town of Stratton. Bigelow Mountain sits along the southern shore of Flagstaff Lake in the Maine Lakes and Mountains region. Also known as the Bigelow Range, the mountain is composed of six peaks – the highest reaches 4,150 feet – and stretches almost 12 miles from east to west. The upper reaches of the mountain encompass more than 170 miles of alpine habitat and the range is situated within the Bigelow Preserve, a 36,000-acre public land reserve near the town of Stratton. The mountain can be climbed year-round. The Appalachian Trail connects to the Bigelow Range Trail. The Bigelow Range Traverse, a 17-mile hike with 10,000 feet of elevation gain is renown as one of the most difficult dayhikes in the U.S. Located near Mount Katahdin in Baxter State Park, North Brother Mountain’s peak stretches to 4,143 feet. Perfect for a day trip, the mountain’s hiking trails pass through forests and over streams, with a few steep stretches thrown in. The rocky, open summit offers stunning views of Katahdin, Doubletop, Coe and South Brother Mountains, as well as streams and rivers. At 4,116 feet, Saddleback Mountain near Rangeley in the Lakes and Mountains region is home to the Saddleback Ski Area. With a 2,000-foot vertical drop, this alpine ski area on the mountain’s north face offers views of the Rangeley Lakes. From the southeast summit, Saddleback Lake, and Winship and Conant Streams can be seen on a clear day. The Appalachian Trail traverses Saddleback’s ridge; tent platforms are located at the Piazza Rock shelter on the trail. Though the mountain can be hiked year-round, most choose to climb in summer; the summit trail is about 5 miles long with a 2,800-foot vertical gain and several steep stretches that provide a technical challenge. Mount Abraham’s summit is 4,049 feet high; this western Maine mountain’s bare upper reaches stretch for about 4.5 miles, making it an easily recognized landmark near the town of Kingfield. From the top, hikers can see the neighboring peaks of Spaulding Mountain and Perham, Rapid and Quick Streams. The Appalachian Trail passes about 2 miles from Mount Abraham’s summit, but it can be reached on a side trail. The mountain’s alpine zone is one of Maine’s largest, encompassing 350 acres, and many trails are marked with cairns that are hard to see in winter. Situated near Saddleback Mountain, The Horn reaches heights of 4,023 feet. The mountain’s summit is a combination of alpine and sub-alpine environments and offers views of the surrounding peaks. It can be ascended year-round. Summit trails include Rock Pond, which has a 2,000-foot gain, and Redington River, with a 2,400-foot gain. The Appalachian Trail runs along The Horn’s summit. Mount Redington’s 4,010-foot elevation makes it the 10th highest mountain in Maine. Set in the Lakes and Mountains region near Carabassett Valley, Mount Redington is one of only two 4,000-foot Maine mountains without an official hiking trail to the summit; rather, hikers follow a network of logging roads. The summit ascent is six miles round-trip. From the summit, hikers can enjoy views of neighboring peaks, including Sugarloaf, Spaulding, Abraham, South Crocker, the Horn and Saddleback Junior Mountains.